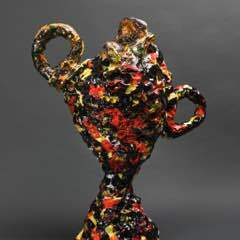 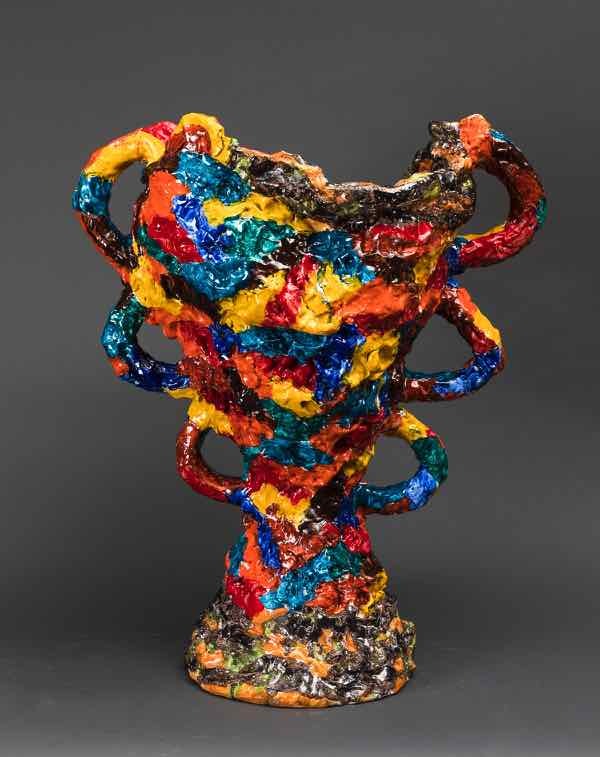 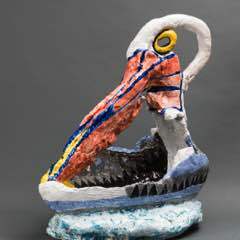 Peter Cooley has been widely known since the 1980s as a painter, but over the last decade has been committed to his ceramic practice. 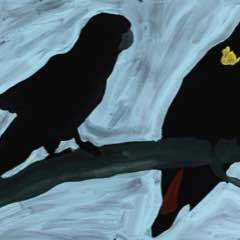 “These reflections of Australia come from living in the Blue Mountains, using the local resource for research material. 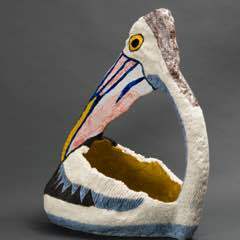 In substitute for not having access to the Louvre or British Museum for a resource, I’m trying to blend this uniqueness of environment into new forms of sculpture & decoration on earth i.e. 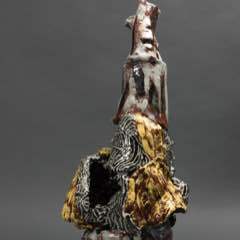 "ceramic“. 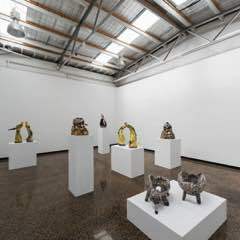 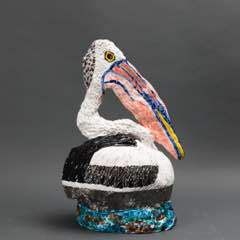 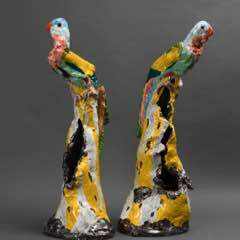 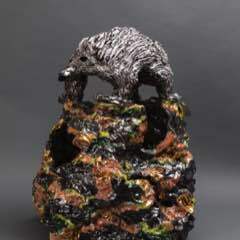 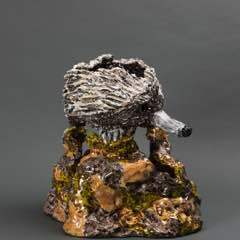 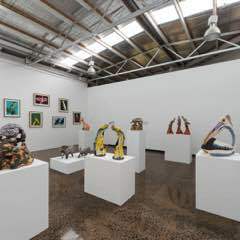 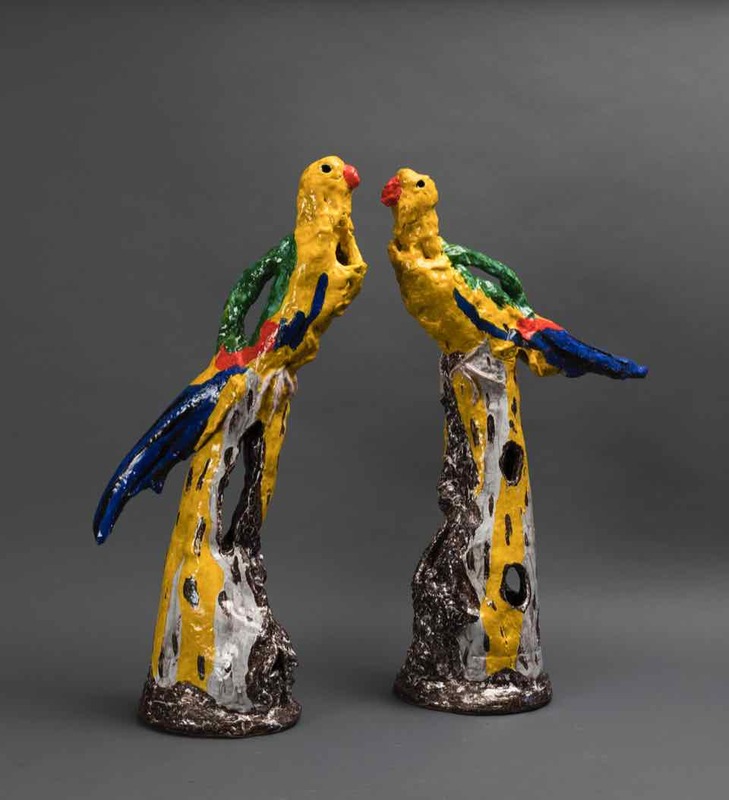 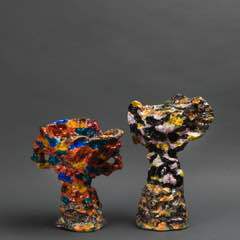 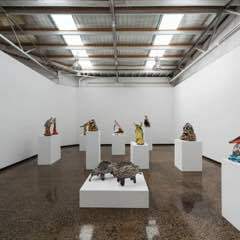 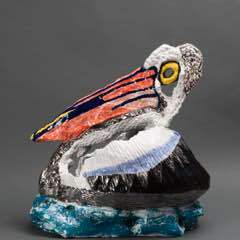 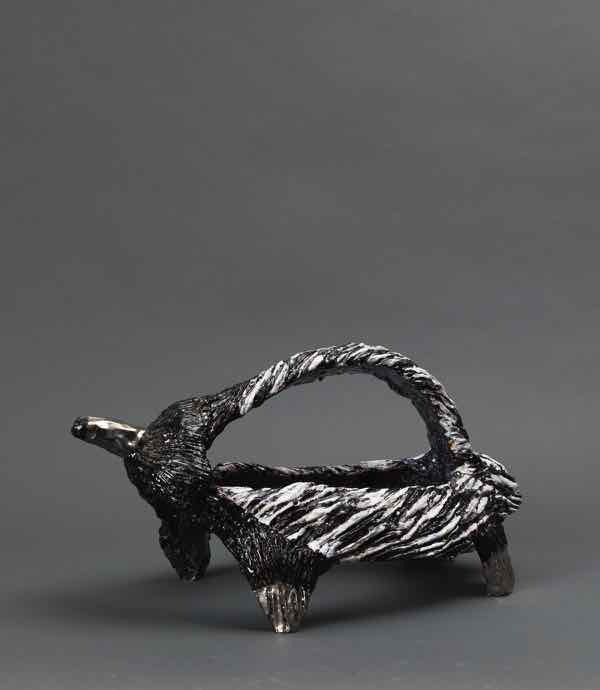 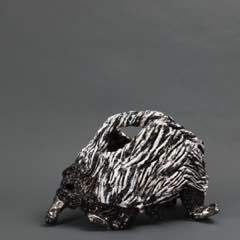 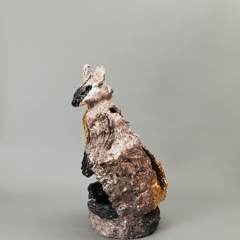 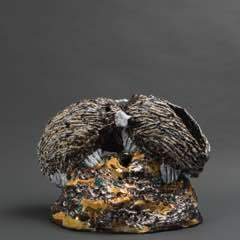 The Blue Mountains environment coupled with that of the distinct imagery the artist recalls growing up in Tweed Heads form the basis of inspiration for these current ceramic works. 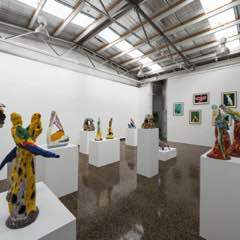 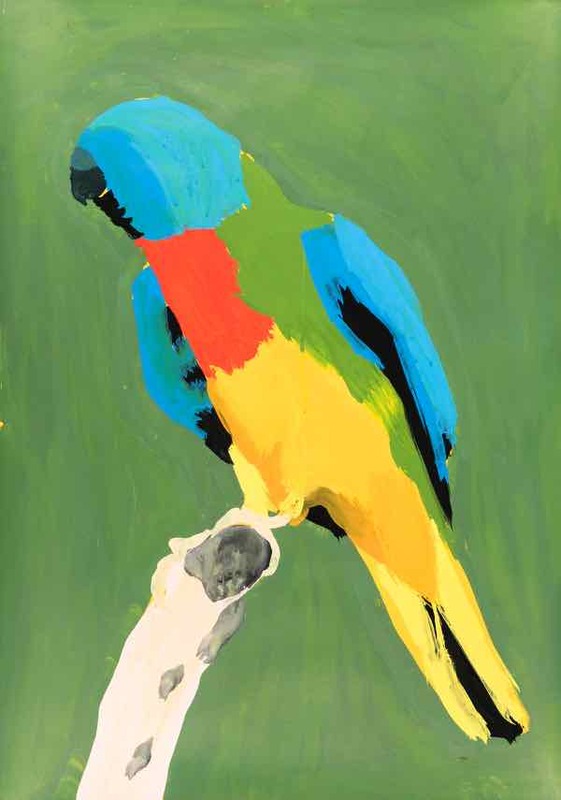 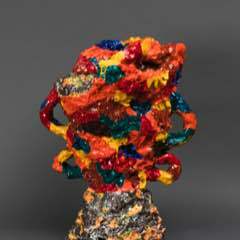 Cooley was born in 1956 and attended the Brisbane College of Art and then the City Art Institute in Sydney. 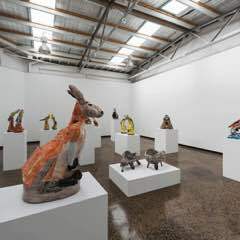 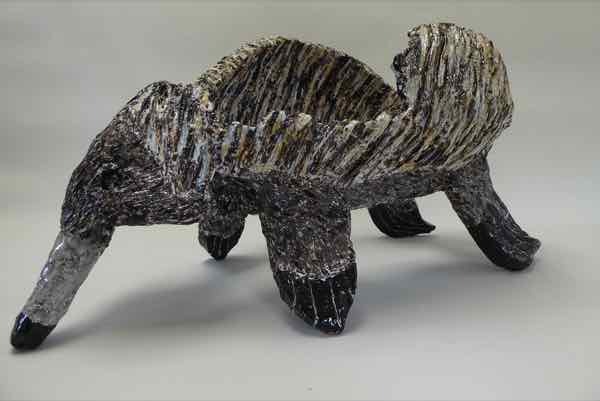 Each day the artist’s Tweed Heads school bus passed by Johnny Mussing’s zoo of concrete animals made from chicken wire and cement as well as rubber-tyre sculptures/planters that dotted many Australian front yards in the 50s. 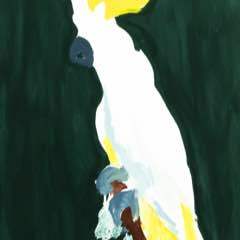 These images were a cultural idiom on that time in Australia. 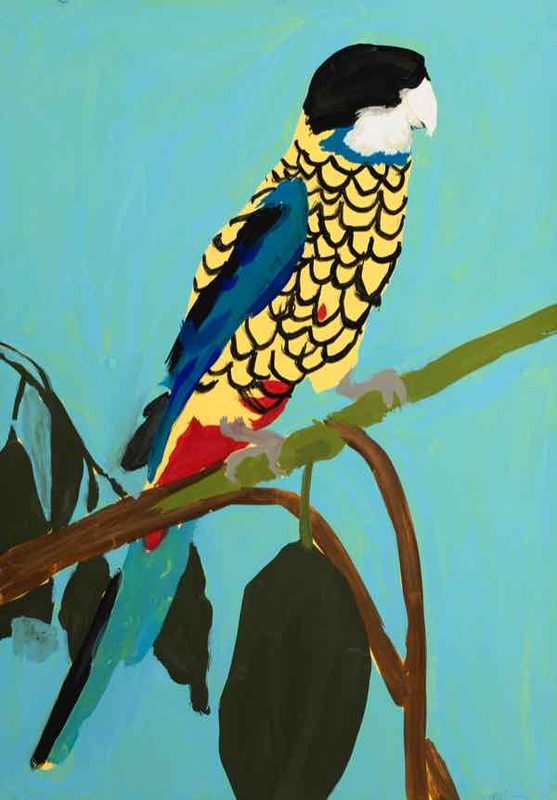 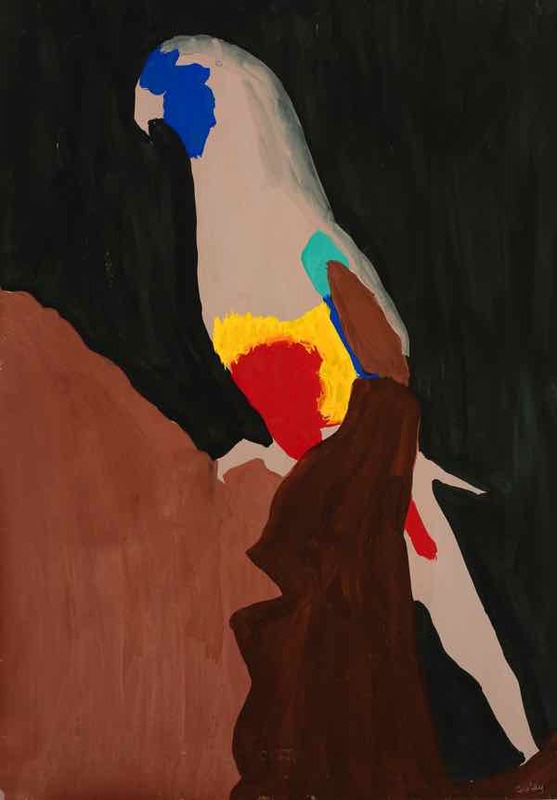 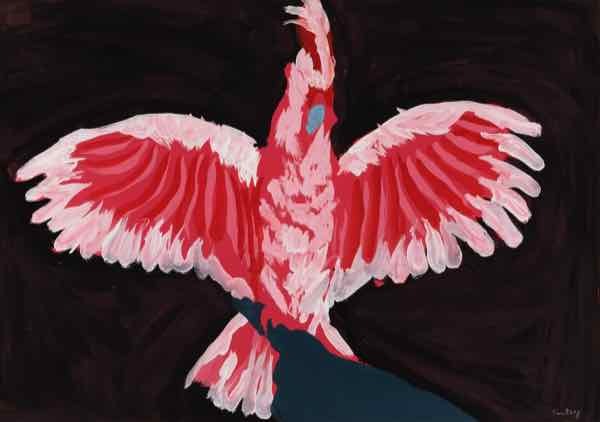 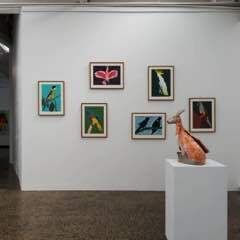 These days, drawing distinctly upon the colours and textures of his now immediate environment, Leura, the artist uses both the 3D and 2D to communicate an image of Australia."